SEO Ranking - Why it Matters for You & How Can You Improve it? Dave owns a blog and pushes his team to churn out quality content on a daily basis. He works round-the-clock to ensure his blog stays ahead of its counterparts. However, his efforts never show him the results he anticipates. His blog rankings rarely improve and the blog posts hardly make to the top of the SERPs list. Can you correlate to this short story? Many of us feel proud when our business gets successful online, but how many of us are actually able to maintain it? Due to poor marketing and SEO techniques, we are often touched back to the ground. So, the question worth asking is: Why is SEO so important for your business to thrive online? Read along the blog post to understand the basics of why SEO rankings matter for your business and how best can you improve it? If you are a business owner, you clearly understand the power of offline marketing. But if you really wish to bring the change, it is important that you indulge in online marketing as well. You can reach out to a wider audience in a short span of time with the right balance of offline and online marketing. When we talk explicitly about online marketing, Search Engine Optimization aka SEO comes handy. Even the research states that the CTR (Click-through-rate) is higher for web results lying on the first page of SERPs. You can easily find millions of web-pages for a particular keyword, but what differentiates one web-page from another is simply how they utilize that keyword in the content piece also affecting their SEO rankings. So, if you are a business owner and are still pondering on why should you invest your time in SEO, check out this Forbes article promising to change your perspective towards Search Engine Optimization. SEO or Search Engine Optimization simply stated is the practice of improving a website’s traffic both in terms of quality and quantity through organic search engine results. A humongous amount of content goes online every second, and even Google is known for its constant algorithm updates. So, as a business owner with an online presence, it is important that your website content stands out and reaches out to your target audience quickly. The faster users connect with your content, the more your search engine rankings improve. Before we discuss the methods that would help you rank your website, let us understand the basic terminology in brief. Indexing: Google forms an index for all the webpages it visits. The Index entry includes the ‘location’ and the ‘content’ of that particular webpage. 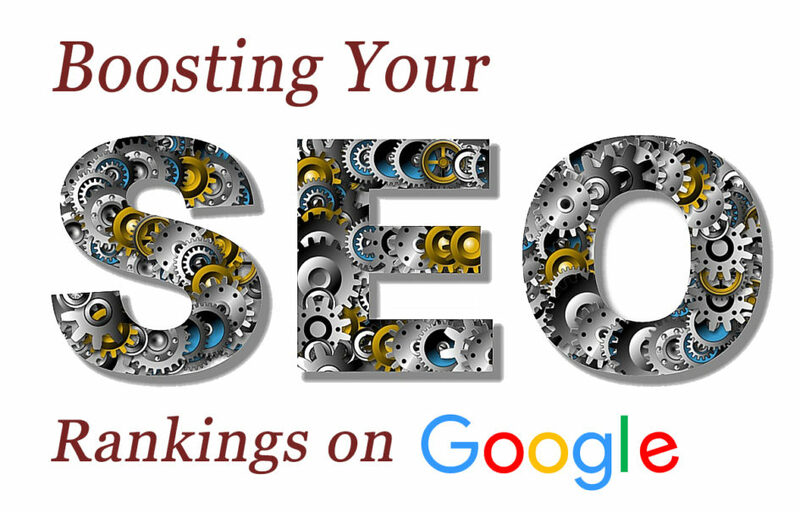 A particular webpage once published can only start showing in the SERPs if it has been indexed and it meets all the Googles’ webmaster guidelines properly. Crawling: It is the process by which Google keeps a track of all the webpages going live on the Internet. So, if you publish a new webpage or update a previously existing one, Google crawlers will automatically update its Index entry in their database after a span of few days. Once a webpage is crawled, it gets indexed as and when Google finds it appropriate. Crawlers/Bot: An automated program which crawls the internet systematically and helps Google in indexing new or updated webpages regularly. Check out this Wikipedia article to know more on Crawlers/Bots. Googlebot: A general term given to Google crawlers. They crawl the web constantly and keeps Google database updated. How Can You Assist Google Find Your Content Quickly? Submitting a Sitemap: The first step to being a great webmaster is to create a sitemap for your website. Having a sitemap allows Google/Bing or any other search engine the flexibility to understand your website quickly. Start with Google Search Console: Search Console is the best way to inform Google about your new website/blog quickly. Start with creating an account, verifying your ownership and then adding a property on your Google Search Console account. The property can be either your website or the blog. 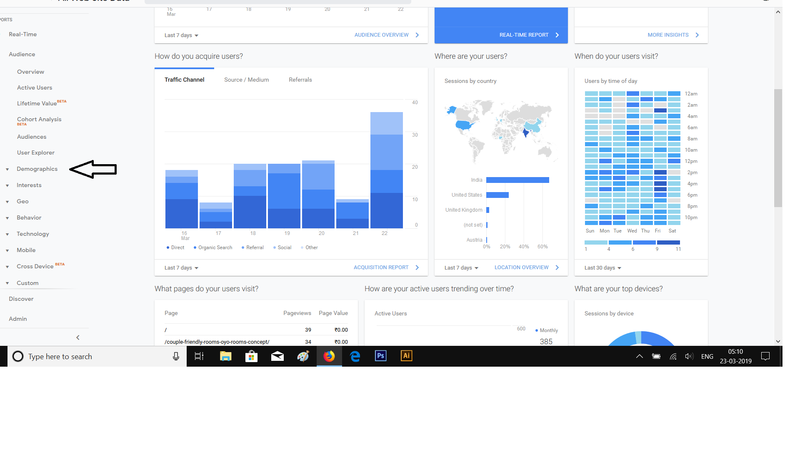 For a detailed understanding, you can follow these basic steps to start with Search Console and work on building up your brand online. Track your visitors using Google Analytics: You must learn how to use Google Analytics for your website/blog. It not only helps you track your incoming visitors on various demographics but also helps to engage with them better. Additionally, you also understand how your website/blog users are engaging with your content, on the basis of which you can plan your content marketing strategies. Tip: Check out all the other important features of Google Analytics here. As a human being, we love images/videos as they are interactive, visually appealing and attractive in terms of grabbing the attention of customers. If your website content involves images or videos, ensure that they are properly optimized. 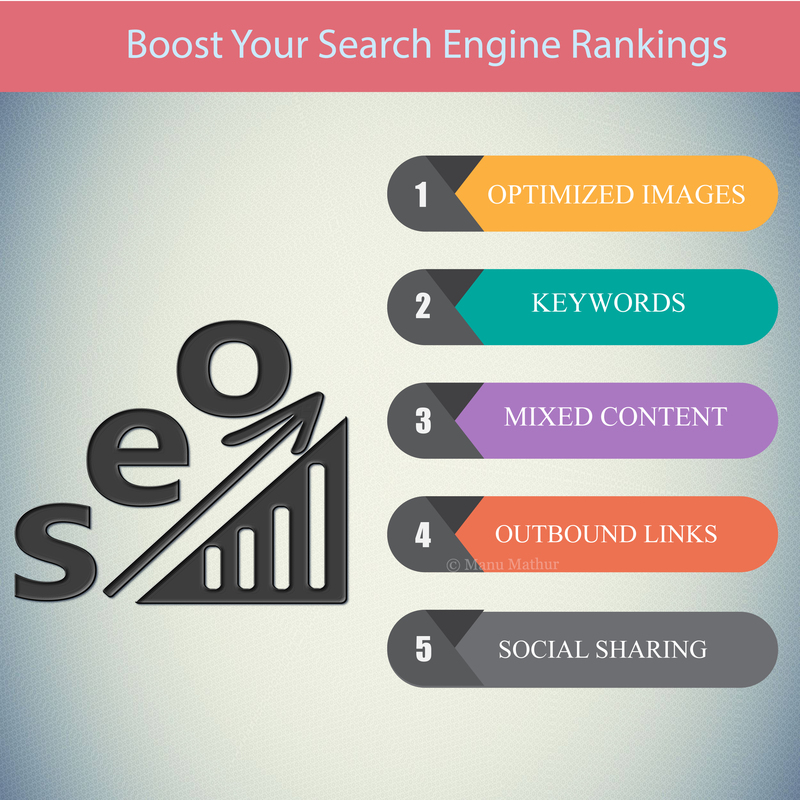 These images are directly linked to your website’s SEO rankings. You must take into consideration the file size, the format, the resolution, etc. before you upload the image/video file on your server. Bulky images adversely impact your search engine optimization efforts, slows down your page loading time and thus, your ranks fall below the intended margin. So, the best option is to either compress or resize the image using an online tool or manually. How many of you sneak in your blog keyword in the name of the media uploaded? I believe, hardly a few. So, if you aren’t following this practice, give it a shot. Before uploading the media file (image/video) on your server, rename it such that it includes your blog post keyword. Follow the same for both the caption and the description fields. This hack might look tiny, but gives you an advantage over other bloggers/websites who act as your competitors, but aren’t following this practice. Keywords are an integral part of the content, SEO and equally benefit your social media marketing tactics. Before you pen down a content piece, you can take the help of different online tools (Free/Paid) to identify keywords relevant to that content piece. As per search engine optimization guidelines, you must include keywords in your ‘Title’, ‘Content Body’, ‘URL’, ‘Meta tags’ and even in the file-name of your images (as discussed in the above section). However, you must ensure that the keywords are strategically placed and you aren’t practicing the art of keyword Stuffing unknowingly. Rather, make your content more descriptive and informative for the user. Group similar keywords together and then use them in your content piece such that users get answers to their queries in a well-defined manner. Keywords should fit into your content piece naturally. If your keywords match what users’ are searching for, then your website has a greater chance of ranking higher surpassing your competitors who rely more on illegal SEO practices. As I stated in the first pointer also, including optimized images in the content piece is a healthy SEO practice. Even famous bloggers suggest that you must include different yet relevant multimedia elements (images/videos/audio) in your content piece. The right mix of text and multimedia elements not only enrich your piece but also improves your user engagement. Also Read: How Videos Boost Your Website Conversions? If your content piece is a HOW-to guide or anything that imparts knowledge, then you must include a relevant video within your content piece. It’s always easy to learn something new through a video than reading a step-wise tutorial. Users love watching such videos and often promote these either on their personal social media profiles or on WhatsApp groups further boosting your customer engagement. Also, depending on the length of your video the user would stay on your website page for a long time which will not only reduce the Bounce Rate of your website but will also improve your search ranking. Link Building is a contributing factor affecting your search engine optimization rank to a great extent. With the changing times, the users are on the lookout of informative content – one that serves their purpose in the quickest time possible. So, if they relate to your content piece easily, then your content automatically gets promoted across the internet on a single click of a button. So, create quality content regularly to keep your target audience hooked to your website. Other than creating quality content, you must also ensure that your linking structure on the site is robust. You must always link out to high-quality and authoritative websites as it improves your brand authority and, gives a tremendous boost to your site ranking on the SERPs. Clearly, external linking matters for your website. 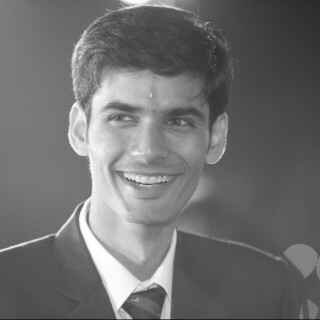 However, if you follow this guide by Neil Patel and optimize your internal links too, you can easily create a long list of inbound links with rich anchor text redirecting to the proper pages. Doing so will again give you an unparalleled ranking boost (for FREE!). Apart from all the above-discussed factors, social sharing has its own benefits. There is an indirect relationship between social media sharing and SEO. If your site content is descriptive and informative, it’s bound to earn more backlinks. So, the more your content gets shared, the more is its life on the Internet. Try these 10 best social sharing icons on your site/blog to encourage sharing as a regular SEO exercise. This constant practice of sharing content will help you reach out to a wider audience, increase your site traffic and simultaneously boost your search ranks. So, give your users the flexibility to share your content on social media. The easier you make it for them, the better would be your customer engagement positively affecting your search rankings on Google. Making an online presence is trickier especially when Google algorithms change in the blink of an eye. So, the best means to achieve good ranking is to keep yourself abreast with all the latest SEO strategies prevailing in the market. Curating fresh content, linking out to authority websites and other factors discussed in this blog post are just the tip of an iceberg, yet are important. Want to share a simple SEO hack with us or have any queries on SEO? Write it down in the comments below and I will reach out to you on priority.